A pool filled with blow up toys is twice the fun, and is sure to encourage your little one to jump in with a splash while you guide them around for some inflatable fun. Something to float around on certainly gives my daughter the confidence she needs, when it comes to getting in the water. Creating lasting summer memories, you and your kids will rule the pool with one of these whimsical inflatables from Seed. 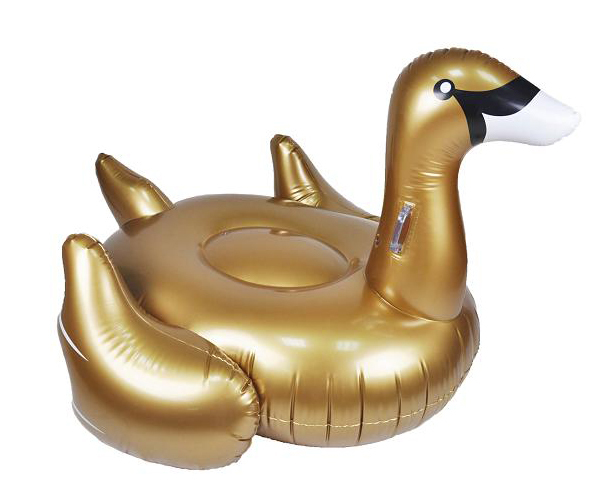 From watermelons, iced doughnuts, pineapples and pizzas that look good enough to eat, to their beautiful toucans, swans and whales, these inflatables look like some serious summer fun and make me want to jump in and float around the pool. Seed will have you covered for most of your kids’ summer essentials and not just for the pool. Their sensational sandal collection we showed you recently has the perfect summer shoes for little feet. The inflatables are available online with free postage for purchases over $50 or in Seed stores around Australia, ranging from $20 to $150.